Regardless of where your politics lie, you are without a doubt, likely to find it deeply ironic that the trailer for Al Gore’s follow-up to his climate change documentary, An Inconvenient Truth, debuted the same day President Trump signed executive orders that rolled back President Obama’s climate change policies. Given the times, it is therefore of little surprise that President Trump kicks off the beginning of the trailer for An Inconvenient Sequel: Truth to Power. Gore’s first foray at sounding the climate change alarm in documentary form was a cultural phenonium in 2006 earning both praise and controversy from critics alike. Directed by Davis Guggenheim, Gore was the principal “actor” in the film, presenting his slideshow to multiple audiences of the dangers he foresaw should human-related carbon emissions continue to grow unchecked. It went on to win the Academy Award for Best Documentary Feature and, perhaps more surprisingly, Best Original Song. 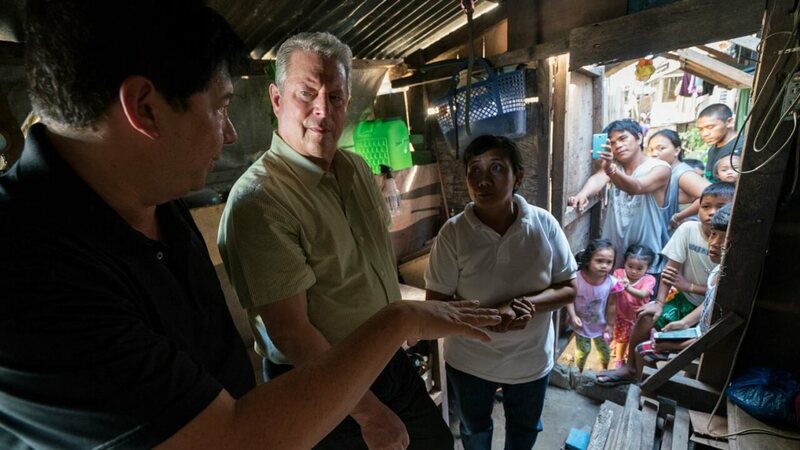 The trailer also follows Gore as he participates in events such as the Paris Climate Agreement and pleads for society to act on behalf of future generations. With the prominent focus of the current US president in the trailer, it is highly likely that An Inconvenient Sequel will be another political hot potato with plenty opinions on the veracity and urgency of Gore’s claims.